Until now, illegal sports betting in New Jersey has been in the hands of bookmakers and organized crime members. In an appeal to the U.S. Supreme Court, the New Jersey state is now requesting for the legalization of betting on sports games. Should the Supreme Court vote in favor of the New Jersey state, the state is likely to collect millions of dollars in tax revenue while CBS News’ legal analyst Jack Ford has stated that this move will not impact the mob or organized crime. When the locals in the State were questioned regarding this new appeal, many expressed the opinion that legalizing sports gambling would have no impact and that gambling would always be driven by the customer. In an interesting twist, John Alite, who worked with the mob for two decades, has now turned his back on bookmaking and is supporting the efforts to legalize sports gambling. Despite his support, Alite made it clear that even if sports betting were legalized in New Jersey, it would not impact the illegal gambling that already goes on. In a petition dated the 12th of February, lawyers for Governor Chris Christie requested from the Supreme Court to review a lower court ruling regarding sports wagering in New Jersey. The Professional and Amateur Sports Protection Act (“PASPA”) is a 1992 federal law which currently restricts certain forms of sports betting in Delaware, Nevada, Montana and Oregon. 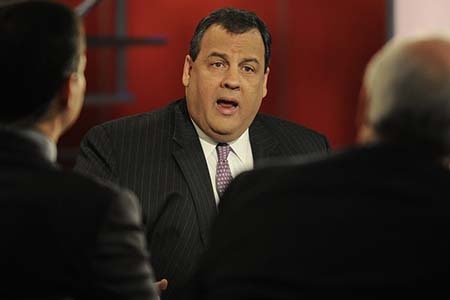 Governor Christie believes that New Jersey, and not the federal government, should be entitled to decide for itself regarding the regulation of sports betting in the State. The bottom line is that the Supreme Court receives thousands of petitions each year with only 1% being accepted so it seems that Governor Christie might not get what he is asking for.